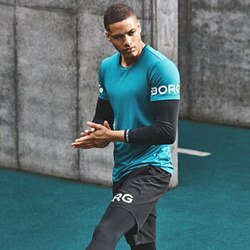 Björn Borg is an international sports fashion brand founded in 1984. The brand is recognised for high-quality products, designed for people who want to feel active and attractive. Bjorn proved that being active and making a difference is far more attractive than playing it safe, and it is that attitude that is the core of the Björn Borg brand today. 2XU was launched in 2005 when former professional triathlete Jamie Hunt turned his passion for sport into an obsession with performance fabrics. Starting out as a specialist run and triathlon brand, 2XU has grown to become the world’s most technical sportswear company, driven by a relentless pursuit to multiply human performance.